Need some activity inspiration this month? You will love this FREE February Family Fun Calendar from Lasting Thumbprints! This February Family Fun Calendar will give you a whole month (28 days) of easy and affordable ideas your whole family will enjoy! Activities included a color contest, flashlight hide and seek, family night ideas, and more! 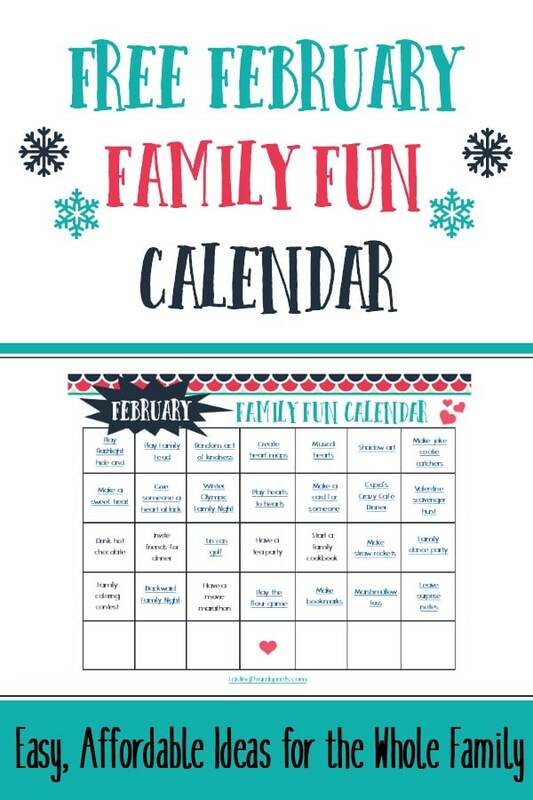 Grab the February Family Fun Calendar here!